by doing simple upi transaction on kotak. 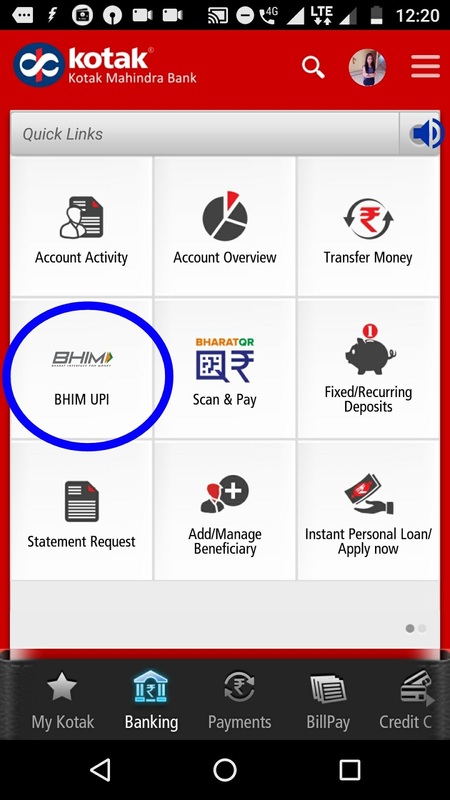 1) Login to your kotak mobile banking app and click on BHIM UPI OPTION. 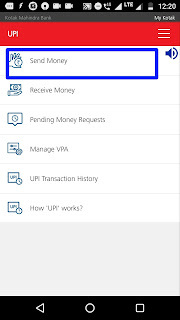 2) Click on send money option inside the app or you may transact anywhere online with your upi address to go for transaction. Like adding money to paytm, amazon , freecharge etc. 3) Complete 65 non-unique ( should not be same ) transaction to get rs 750 every month for free. 5) Every month earn rs 750 just for doing transaction. 6) This offer is valid upto 31st March 2019. ( nearly 10 months are there in your hand , ,that means you can earn upto 750 × 10 = 7500 till march of next month ). 7) I made 350 on may which is added on my account on the end of the month. Only transaction where user’s account has been debited will be considered in the total number of transaction. 10 are unique transactions of transaction value equal to or more than 100 per transaction. 25 are non-unique transactions of transaction value equal to or more than 10 per transaction, then the eligible Cashback is 350 ( 25 per transaction x 10 unique transactions) + ( 100 based on the above table). 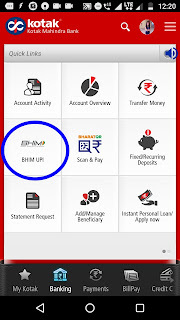 This offer is made to the usersof Kotak Mahindra Banking App and BHIM Kotakpay App. Both Offer 1 and Offer 2are valid for transactions done till 31st March, 2019 ("Offer Period"). This Offer is non-negotiable, non-encashable and cannot be clubbed with any other offer. Customers are eligible for both Offer 1 and Offer 2. Calendar month will be used for calculation of “Month”. 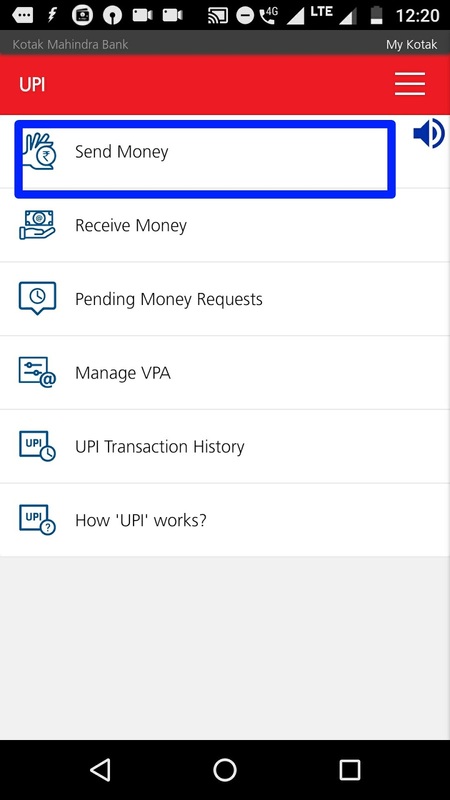 The unique transaction/ uniqueness will be checked basis UPI ID + Account No/IFSC + Mobile Number. Only first transaction between the sender and receiver is considered unique. Any subsequent transaction between the same sender and receiver will not be considered unique. User is eligible for maximum 750 cashback per month through both Offer 1 and Offer 2. User can transfer money through UPI ID, Account number + IFSC or scan QR code but sending money through AADHAAR number shall not be considered for the both Offer 1 and Offer 2. Cashback on the transactions shall be paid to the user whose account is debited for the valid financial transaction and cashback amount will be credited to eligible user’s bank a/c linked against the UPI ID directly. Any transaction where in the opinion of the Bank there is reasonable evidence that the transaction is not authentic or genuine and the user has indulged in deceit / fraud of any nature to claim these offers, shall not be eligible for these offers. Any participation in these offers are voluntary. Any person availing of these offers shall be deemed to have accepted these Terms and Conditions. The Bank reserves the absolute right to change / modify / withdraw / suspend / cancel these offers at any time without giving any notice and without assigning any reason. The decision of the Bank in all matters in connection with and incidental to both Offer 1 and Offer 2 is final and shall be binding on all persons. The customer is advised to read and understand the Terms and Conditions before availing the benefits of these offers. All disputes arising out of or in connection with this offer shall be subject to the exclusive jurisdiction of the courts at Mumbai, irrespective of whether any other courts or tribunals have concurrent or similar jurisdiction.